As early as today, you must see to it that you’re living a healthy lifestyle especially when it comes to the heart. In Singapore, heart-related diseases are among the top 10 principal causes of death. (source). Here at Thomson Medical, we understand that it can be difficult to spot the symptoms because in many cases, you won’t be experiencing them until there’s serious cardiovascular health issue, eg heart attack. Fortunately, the average person may be able to be more aware of warning signs of heart diseases during the early stages, enabling them to consult a cardiologist early before things can get worse. There are different types of heart diseases. 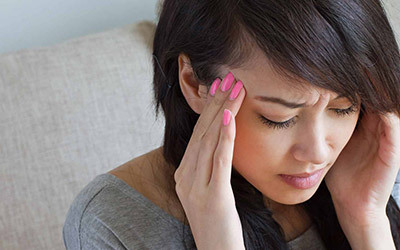 The most common signs and symptoms of these diseases include dizziness, shortness of breath, fatigue and discomfort. On their own, each symptom may be common, non-specific, and episodic. But when you have at least two of the symptoms together or if they are recurrent, you should be cautious and consult a doctor immediately. Read through our comprehensive list below to identify the potential signs and symptoms of heart disease. Fatigue, lethargy and daytime sleeping are all signs that you might have the early onset of heart disease. These symptoms may point to a lack of sleep at night, which is an indicator of sleep apnea. Night time loud snoring, choking and gasping for air mean there are severe interruptions in your breathing. The long-term result is stress on the heart making it more susceptible to heart diseases such as difficulty to control hypertension or heart attacks. 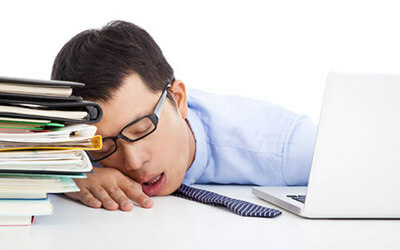 Sufferers of fatigue should see a doctor for polysomnography (PSG) and home sleep tests to assess for sleep apnea. If you often feel tired for no reason or if you’re feeling exhausted doing the things that normally wasn’t tiresome for you in the past, consider consulting your doctor. Dizziness and light-headedness alone aren’t conclusive proof you suffer from heart disease. Sometimes, it can happen as a result of standing up too fast, or being dehydrated. But, it’s a sign of concern when you experience it persistently or with other symptoms like tightness in your chest, too. There are many causes of dizziness and light-headedness, it’s important that you consult your doctor for a thorough medical examination. 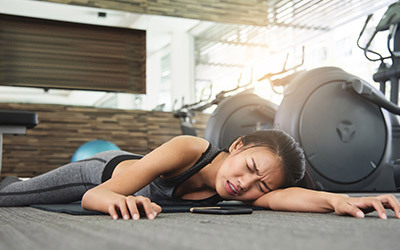 Dyspnea, the medical term for shortness of breath, is easy to dismiss as a problem since people who don’t work out regularly tend to suffer from this condition. However, it can be a sign of heart disease if something that you normally do with ease in the past, such as climbing a short flight of stairs, leaves you breathless. 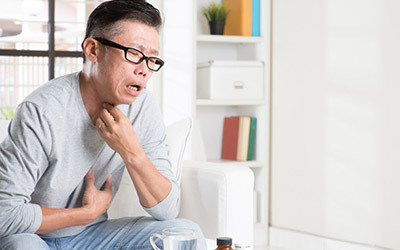 Cardiovascular-related shortness of breath is often caused by coronary artery diseases, weak heart (cardiomyopathy), pericardial disease, heart valve disease and cardiac arrhythmias. As a result, you’ll experience dyspnea on exertion. Furthermore, you will also feel the breathing difficulty even when you’re lying flat. This condition is called orthopnea, which is a sign of heart failure. Be sure to monitor your sleep quality, too. Paroxysmal nocturnal dyspnea (PND) will wake you up from deep sleep with a severe shortness of breath. This condition is also commonly caused by heart failure, so it’s best to have it checked by your doctor. 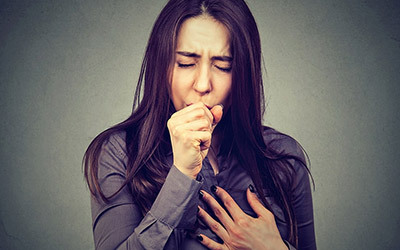 Chest discomfort is an alarming symptom as it could be a sign of blockage of the blood supply to the heart (coronary artery disease) or its severe acute form, a heart attack. Feeling of tightness, squeezing, heaviness sensation or pressure on the chest, front of neck, upper back or upper arms. It may improve or resolve with rest, and begin or worsen with stress. 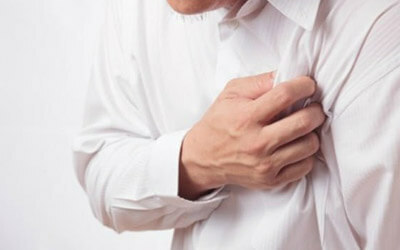 In more severe angina, the discomfort can persist at rest and last for hours or a whole day. For some, this might go away after a moment and come back again. If you experience such symptoms, it’s important to seek medical help at the nearest accident and emergency department immediately. When it comes to heart diseases, most people will only think about chest pain. But discomfort related to heart diseases can occur on the other parts of the body, too. According to the UK-based charity, British Heart Foundation (source), pains associated with heart and circulatory diseases can manifest in the stomach, legs (especially calves), arm (especially the left one), jaw, and back. Ankle swelling may be due to a heart failure. People commonly don’t think of these symptoms or signs as related to heart problems. If you have any of these symptoms or signs, do seek medical advice at once. mia, which comes in different types. 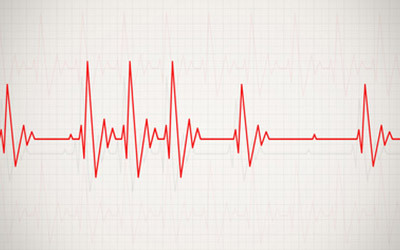 For many people, irregular heartbeats may be not significant, being caused by extra ectopic beats. If the palpitations are irregular, very rapid, or causes symptoms like dizziness, fainting or near fainting spells, it should be checked by a cardiologist. If you have underlying conditions, like hypertension, diabetes mellitus, coronary artery disease, previous heart failure or previous stroke, or over-active thyroid, or if you are above 65 years old, it is important to check out atrial fibrillation as a cause of the palpitations. Patients with above medical issues and/or above 65 years old, are at higher risk of atrial fibrillation, and consequently higher risk of stroke from the atrial fibrillation. Sleep apnea increases your risk of heart diseases and other cardiovascular problems. With sleep apnea, you could stop breathing for 10-20 seconds or more while sleeping, and this can occur several times during the night. In people with significant sleep apnea, chemicals in the brain that trigger breathing fail to function, and ultimately, oxygen levels go down greatly. When this happens, there will be a surge of the levels of adrenaline, cortisone and other hormones, which contribute to a variety of heart conditions. As sleep apnea prevents restful sleep, and increases stress hormones, it’s linked with high blood pressure which increases the risk of a heart attack or a stroke. Sleep apnea is potentially treatable. For more severe cases, there is Continuous Positive Airway Pressure (CPAP) device, which creates pressure in the airway to overcome the snoring and the apnea. Perspiration is the body’s normal process of cooling your body especially when you’re doing physical activities or when the weather is hot. But when you’re sweating without exertion and while having chest, upper back or upper abdomen discomfort, it may be an indicator of an impending heart attack. In patients with heart failure or cardiomyopathy (week heart), the heart is not able to keep up with the oxygen demands the body. As a result, the blood pressure within the heart builds up and then causes back pressure into the lungs. When this happens, the patient will have a chronic cough, especially on lying flat (supine) or when on exertion. Swelling or fluid retention can also be a marker of heart failure but it may also be caused by other reasons. In patients with heart failure or cardiomyopathy (weak heart), the heart is not able to keep up with the body’s oxygen demands. The blood slows down and backs up the veins and vessels, ultimately causing fluid build-up in the tissues in the abdomen and legs. See a doctor if you have any of the above symptoms or signs. Fainting, or syncope, is the temporary loss of consciousness usually related to insufficient blood flow to the brain. It is a common occurrence, but in few cases, it can be a sign of heart disease and other serious medical condition. Heart-related fainting can be caused by too-fast or too-slow heartbeats, weakened or enlarged heart, muscle damage in the heart or a tear in the aorta, among other reasons. Regardless of the cause, it’s vital that you have it checked out right away. 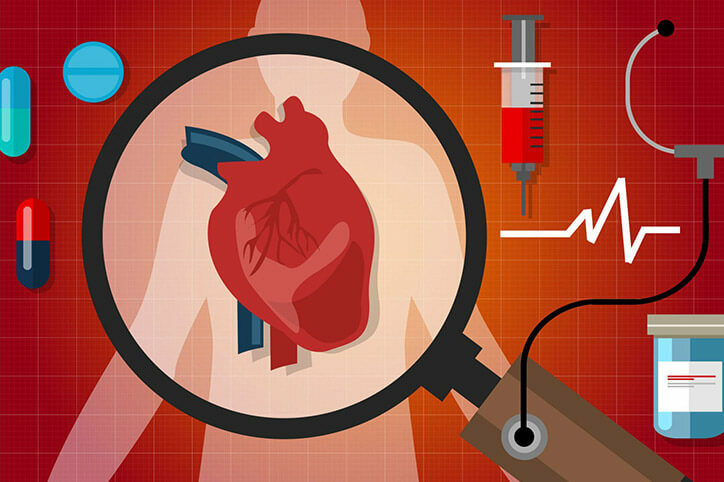 People who don’t get checked out might not realize they have a condition and could allow heart disease to worsen, resulting in a poor outcome. How can you prevent heart disease from happening? The answer is to eat a balanced diet as well as maintaining a healthy weight. Your body needs nutrients to protect and strengthen the vital organs, and the heart is no different. With omega-3 fatty acids and protein in your diet, your heart should stay healthy for a long time. Maintaining a healthy weight is crucial as excess weight increases one’s risk of heart disease, and risk factors of heart disease, e.g. diabetes mellitus. Being physically active is very important for heart health. It improves heart fitness, and reduces the risk of heart disease risk factors, e.g. diabetes mellitus. It’s essential to stop smoking and reduce alcohol consumption to 1-2 units per day. symptoms on exertion, but it goes away with rest. Do also see your doctor to check out the cause of the symptoms. Multiple risk factors for heart disease, e.g. family history, or existing medical conditions like hypertension, diabetes mellitus, high cholesterol. Be aware of your lifestyle, medical history and family history. Make healthy choices. For professional consultation and heart checks, you can book an appointment with us at Thomson Cardiology Centre.